When you beat the cream with sugar keep a pan of ice cold water underneath,make sure the cream is chilled enough. Break the marie biscuits in medium pieces.Do not crush. Beat the chilled cream with sugar until fluffy n frothy,till it form peaks. Do not chop but cut the pineapple in medium size. 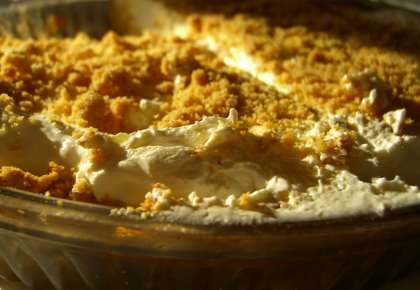 Now in a flat serving dish add a layer of marie biscuit pieces,cream and the pineapple,repeat this layer until the dessert covers the dish. Chill in the refrigerator for 1 hour. U can also try oreo biscuits for the base. In addition pour the syrup in the pineapple tin over the biscuit layer. It really add an extra something to the dish!